Chatting with another author, I became inspired to make a post about a few of the things that I have learned in the few years that I have been writing. This list is certainly not all inclusive, but they are things that I feel are beneficial to keep in mind; especially for those looking for ways to improve the way their work ‘feels’ when it’s being read. Please enjoy. Look out for WAS – as in WAS sitting… use sat, WAS standing…. use stood, WAS smiling…. use smiled Do a search for was – if it appears more than about 400 times in a 50k word manuscript, you probably have this issue. That doesn’t mean they all need to go away, but be sure it is the BEST way to say what you mean, and if it’s not, change it. Avoid VERY, JUST and NOW – if you have put one of these words in, be sure that it adds to the meaning of the text; otherwise they are JUST filler and get annoying to look at. Speaking of annoying, watch for ‘catch words’ that have been repeated often in a short space, such as a paragraph or page. If you need to talk about a table, but you say the word TABLE ten times on the same page, it gets on the reader’s nerves. Find a different word, or work around it so that you don’t become repetitive, unless you mean to be. Repetition is a literary device, and you want to save it for those times when it adds to the meaning. Don’t be GRABBY – grabbed is a verb of last resort, and there are lots of other words that mean to pick something up, so only use grab if nothing else works. “Tried” implies that an action failed; only use it if it did in fact fail, and then only sparingly. It also can become a filler word, so make a list of your bad habits and watch for them in the future so that you can filter them out – don’t try, do it. I can’t say enough about word variation, especially when it comes to verbs; SAID gets old fast, and tells us nothing about the feeling behind the words. I read a book once were everyone was HEADING somewhere, and to this day I cannot put that in a text without stopping to think about it. Word programs come with a thesaurus option you should use regularly; after a while, you won’t need it as much, as new words will become a part of your tool-box and you will begin using them without effort. Sentence lengths should vary. Using short choppy sentences as a rule makes your work sound artificial and dull. They also lead to heavy repetition as the noun is used over and over; avoid this by combining smaller sentences into longer ones, and saving the short ones for emphasizing a point. On the other hand, longer sentences need to be punctuated well, so that they flow; insert commas where clauses fall and where speech naturally pauses. Oh, and use the semicolon to separate main clauses or to give a longer pause; especially when two ideas are connected, or you want one of them to stand out. In dialogue, how often do we REALLY say the other person’s name? Reading a passage where they keep saying each other’s name REPEATEDLY gets annoying. Take all of those out, unless you are emphasizing a point, and stop using your character’s names excessively in descriptions as well. It’s a filler and can become tiresome for the reader. Do searches of your finished manuscript before you start editing; locate hot-spots that you want to address when you are re-working the text, and add to it if you notice something new has crept in; like using an adjective excessively. If everything is AWESOME, you need a new way to describe it. Finally, keep at it. You only get better at something when you do it regularly. Read articles, ask questions, and join in discussions; all of these things improve your understanding of mechanics. Also, never take what someone says about your writing personally; even a one-star review can have a nugget of wisdom hidden inside it, if you take the time to look with an open mind. Fortunately for us, there are many styles of writing, and we are not all the same. Someone early on told me that I should write more like Stephen King. My response? Why – I don’t even like Stephen King. Shocking, I know, but therein lies the beauty of being a writer: I am working on being the BEST Samantha Jacobey that I can be, and all my wonderful fans make this journey all the more fun. So relax, and enjoy the ride; the bumps only make it more exciting and certainly can give us insight if we are open to the experience . 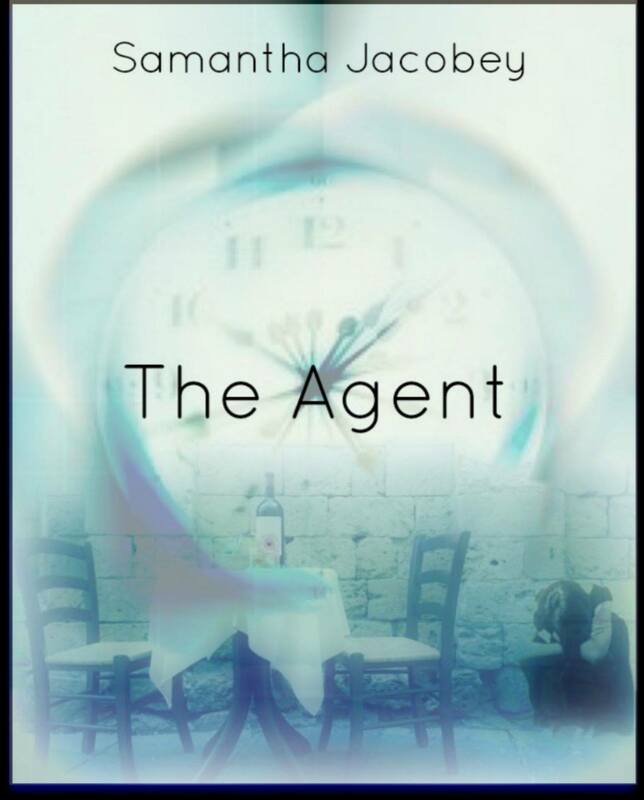 READ FOR FREE – Grab The Agent TODAY!!! Happy FREE READ FRIDAY everyone!!! THE AGENT: A Short Story – An author of dark tales is looking for someone to represent her. An agent who thinks all writers are the same wants the job. Will one lunch date be enough to convince him that she’s different, or will her clouded past continue to overshadow her future?